Investors can't decide if they love or hate the Fed's decision to keep interest rates steady. Stocks zigzagged between big gains and modest losses on Thursday after the Fed kept rates near zero due to concerns about global growth. Ultimately the markets ended somewhere in between, with the Dow closing down 65 points and the S&P 500 off 0.25%. The Nasdaq gained 0.4%. Wall Street struggled to wrap its head around what the Fed decision telegraphs about the U.S. economy. The Fed decision was one of the most highly anticipated events in recent Wall Street history. A rate hike would have been a watershed moment, the first in nearly a decade. But the Fed hesitated to act, held back by turmoil overseas and concerns over how China's economic slowdown will impact the rest of the world. But that only seems to have left investors grasping for clues on when a rate hike will actually happen next. "One thing the Fed has accomplished today is to increase uncertainty around each future meeting date," Doug Duncan, Fannie Mae's chief economist, wrote in a statement. During a press conference, Fed chief Janet Yellen acknowledged recent "notable volatility in financial markets," including the stock market. She was alluding to the correction in U.S. equities that was highlighted by a 1,000-point plunge for the Dow on August 24. 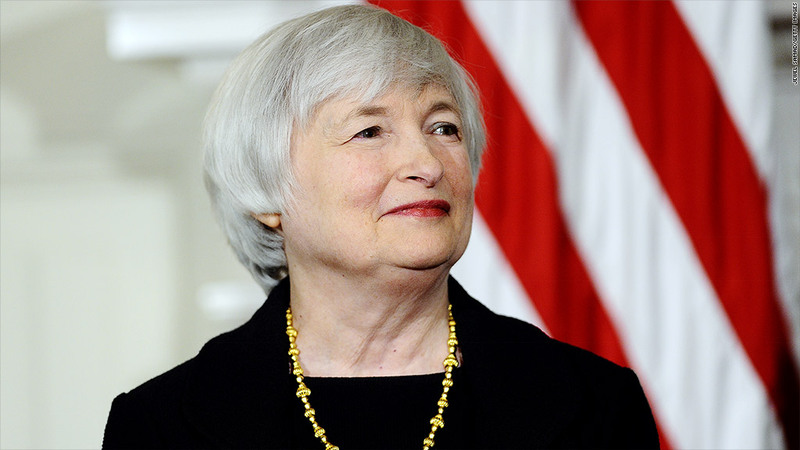 However, Yellen sounded much more upbeat about the U.S. economy. "I do not want to overplay the implications of these recent developments, which have not fundamentally altered our outlook." Still, the mention of turbulence in equity markets won't sit well with some Fed watchers. "The Fed runs the risk of being held captive to the markets, as, paradoxically, much of that volatility is due to the anticipation and uncertainty around when the Fed will move," Joe Davis, Vanguard's global chief economist, wrote in a blog post. Rate hike in October or December? Many economists believed a rate bump would finally happen because labor markets have improved drastically and the Fed needs ammo (room to lower rates) for the next emergency. While it didn't hike rates this meeting, most Fed committee members believe a rate increase will happen in its next meetings -- either October or December -- according to its economic projections. "You're likely to get a hike later this year. The Fed just bought themselves a little bit more time," said Russ Koesterich, global chief investment strategist at BlackRock. Until then, investors (and financial journalists) will continue to tire of the endless debate over Fed policy. It's fueling uncertainty that markets hate. "The Fed punted again and thus are inviting us to the daily obsession" of when it will hike rates, said Peter Boockvar, chief market analyst at The Lindsey Group. 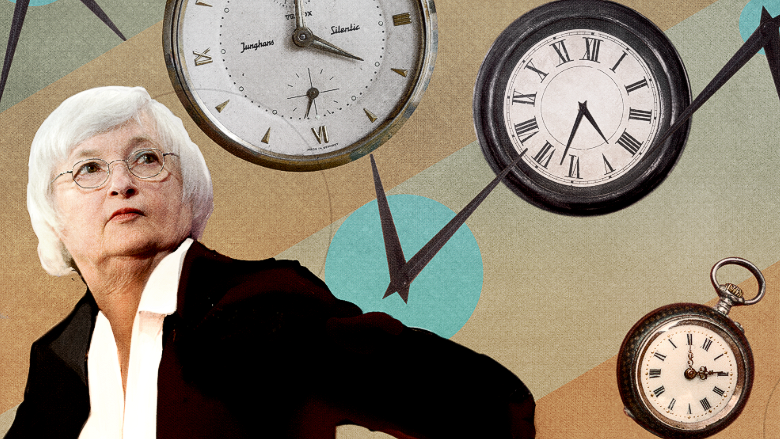 "The problem now is not when the Fed will raise rates or not, it is the paralyzing discussion." Utility stocks liked the Fed's decision to stand pat. Investors are betting these high-dividend stocks will continue to feast on cheap borrowing costs. Big winners include PG&E (PCG) and DTE Energy (DTE). On the other hand, banking stocks like Bank of America (BAC), Fifth Third Bancorp (FITB) and Comerica (CMA) retreated. The industry had been hoping the Fed would move because higher rates make it easier for banks to make money on loans. The Fed's decision weighed on the U.S. dollar, which fell 1% to three-week lows against a basket of currencies. The dollar had rallied this year on hopes of a rate hike since higher rates tend to make currencies more attractive. Short-term bonds rallied, sending the yield on the two-year Treasury note down to 0.68%, the lowest level since late August.